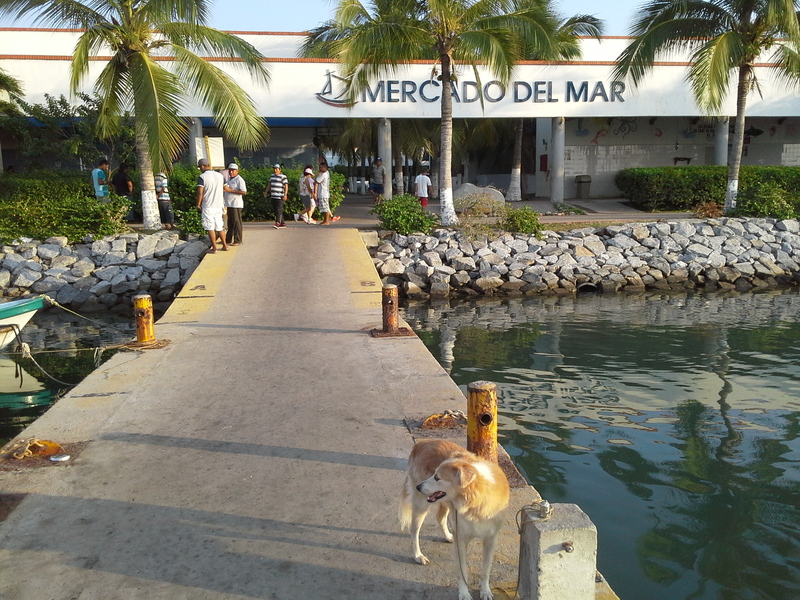 The temperature is staying hot — too hot — here on the west coast of Mexico. Some days, I would rather not eat at all than have to cook. An easy — and cool — solution has been to prepare shrimp cocktail, cóctel de camarón, in the morning, and then assemble everything at dinner time with a minimum of time spent in the kitchen. 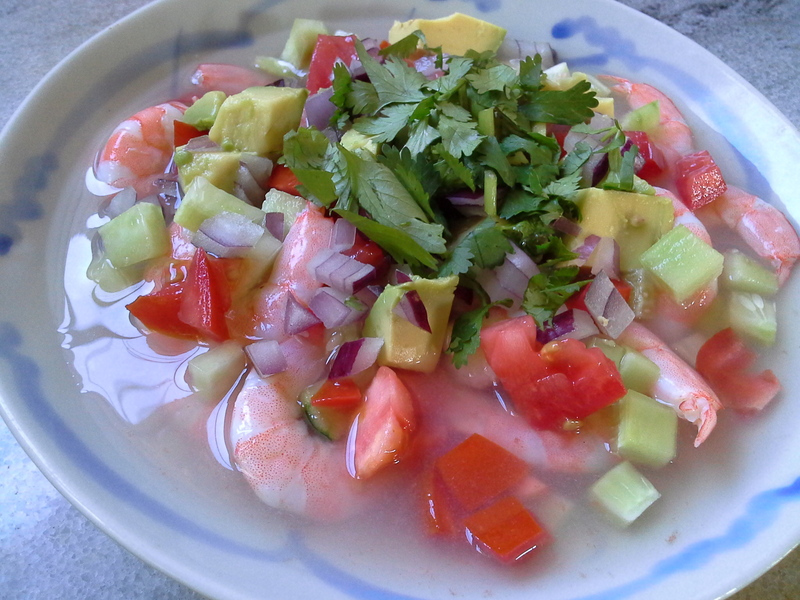 This shrimp cocktail recipe is an adaptation of cóctel de camarón as it is served at Ocho Tostadas in Puerto Vallarta. Theirs is served hot with catsup, but we prefer it cold and catsup-less. Maybe, without catsup, it isn’t a cocktail at all. Whatever it is, we love it, and it is perfect for warm weather. If you are already having chilly days, try the warm or hot version of cóctel de camarón. If we ever have a chilly day, I will also, but I may have to wait until January. It is not necessary to devein shrimp (see notes below). I’m telling you this now just to save you a lot of time and work. After years of working in a restaurant, where I had to devein twenty pounds of shrimp at a time, I am so happy to come to the conclusion that my time is better spent on other things, like taste testing tostadas. 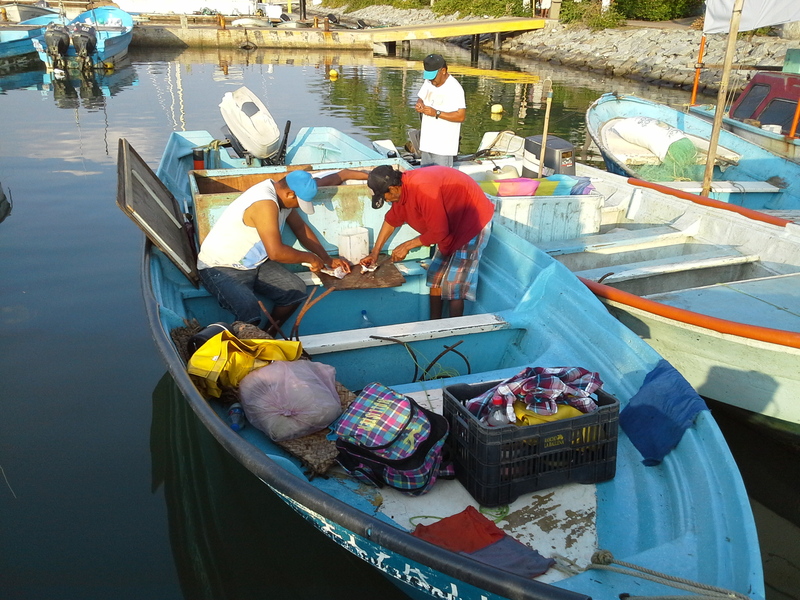 The La Cruz fish market sells farmed estuary shrimp from San Blas, a coastal town north of us. 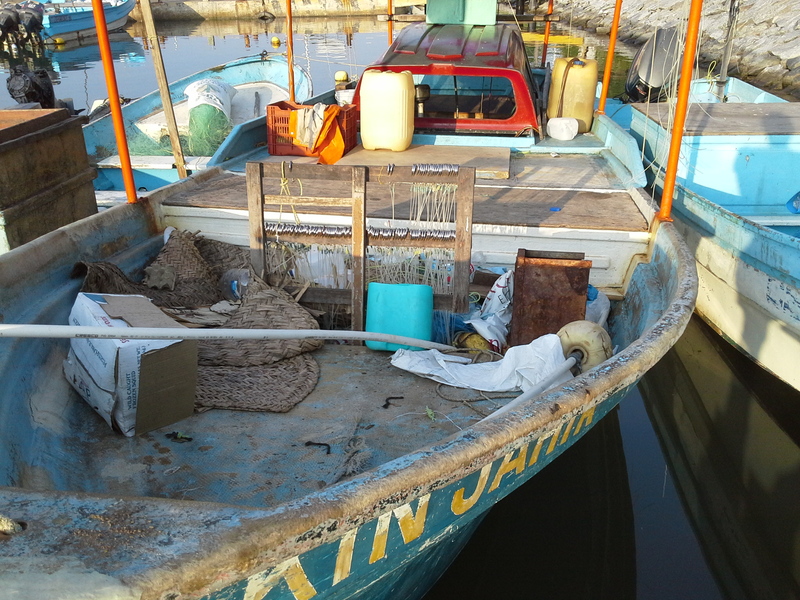 Their trucks drive right by our front gate, but I find it more interesting to walk down to the fish market and check out the fishing boats and their catch. 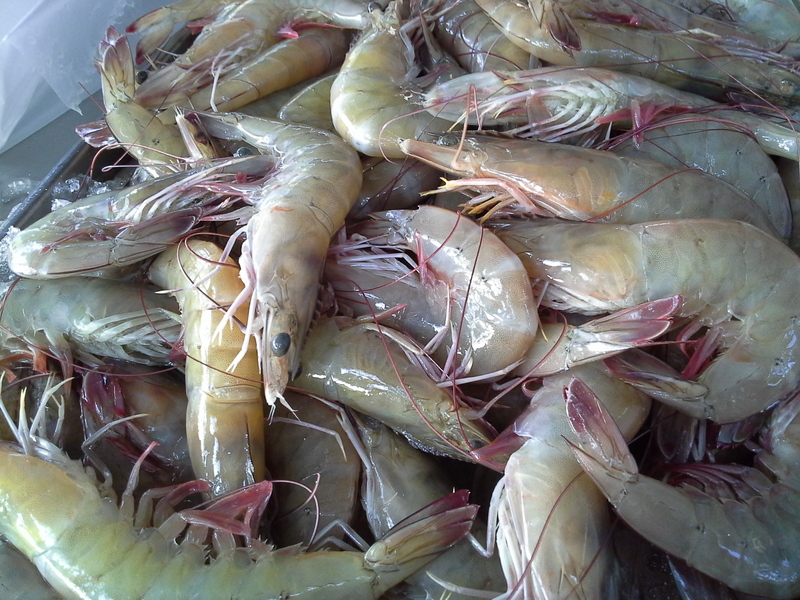 Farmed shrimp sounds like a good idea, since shrimp from the ocean are dredged, a practice which damages the ocean floor and brings up lots of by-catch, fish brought up in the nets that are not intended for the market, and often tossed back into the ocean dead. As you most likely know, our choices in food purchases have consequences. A recipe is almost not needed. Cook as much shrimp as you want. Peel, then refrigerate in the broth. 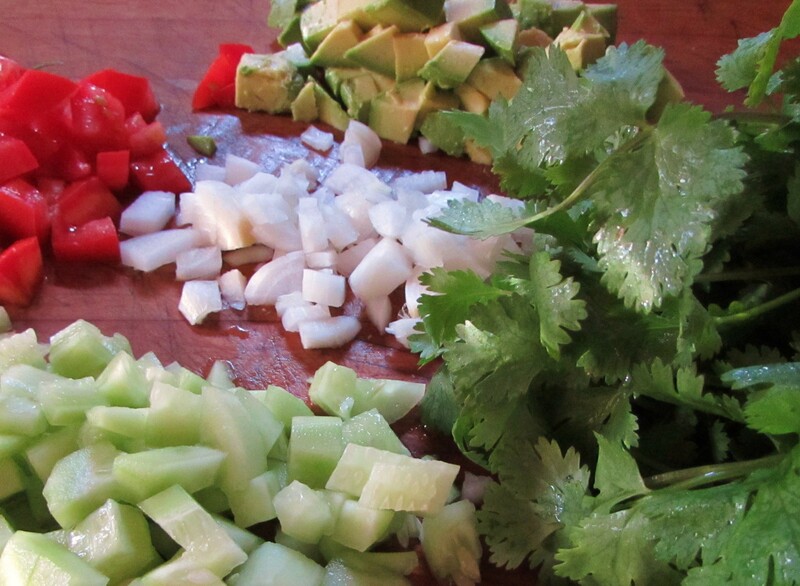 When cold, add chopped tomato, avocado, onion, cucumber and cilantro to shrimp and broth. Serve with wedges of lime, tostadas and bottled hot sauce. This is how Ocho Tostadas serves cóctel de camarón, but there is room for innovation if you are so inclined. Radish slices, torn baby lettuce, grated carrot, whatever is in your fridge and sounds good. Think of this as a shrimp salad swimming in flavorful broth. Here is a recipe if you like to have things spelled out like I do when making something for the first time. Bring salted water to a boil and add shrimp. Cover and simmer for about 3 minutes, or until done. Drain, reserving broth, and peel shrimp. Refrigerate shrimp in broth until cold. To serve, divide shrimp and broth between two bowls, and top with diced vegetables. Serve with lime wedges, bottled hot sauce and tostadas. ~ Cooking the shrimp unpeeled gives a more flavorful broth, plus the peels remove more easily from cooked shrimp. ~ To devein or not to devein, that is the question. I don’t. After a bit of research, I came to the conclusion that removing the vein from shrimp is purely for aesthetic reasons. Basically, we don’t want to look at the little black line and think about what it represents. Eating the vein is not unhealthy, it is not dangerous, and because of this, many cultures do not devein shrimp. It just isn’t necessary unless you have a lot of time on your hands and have a squeamish bent. ~ For an authentic Mexican cóctel de camarón, serve warm or hot with a generous squeeze of catsup. Used to live in Indio, California and was spoiled by the wonderful selection of Mexican restaurants there. Found out that some places served the normal red cocktail sauce with the cameronies but also a chilled cucumber based sauce instead. It was always so refreshing and tasty and such a nice change. I’ve never encountered a cucumber sauce for shrimp cocktail, but it sounds wonderful. I guess it’s a traditional Mexican cocktail sauce with lots of chopped cucumber? I agree with you that the flour may account for breads here. Maybe you can sneak in to the nopal field and cut off a pad (leaf). Let the scar heal, then lay it on loose soil in your yard. It will quickly grow and give you fresh nopal pads for salsa, licuados, and salads. Thanks for the note and insights. The shrimp from San Blas are excellent. Yes, they are good, almost sweet in flavor. Thanks for your kind words. Thank you for posting authentic Mexican recipes. I too live on the west coast , in Teacapan ,and we visit la Cruz fairly often in the summer months. The fish market is great. 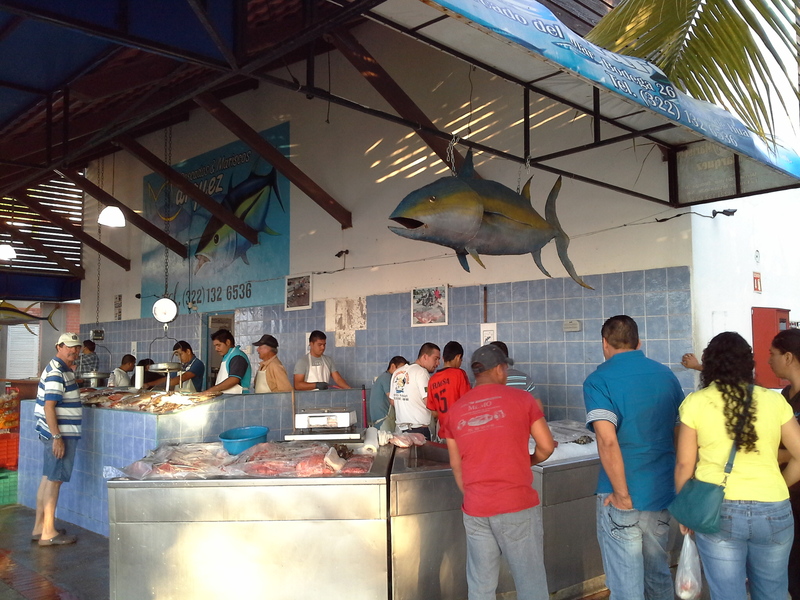 We are fortunate to have such a wonderful fish market within walking distance. You can see more photos of it here.